If you listened closely over the last several months of 2012, the progressive voice of the American people began to get louder and louder. It has never really been silent; rather it has been drowned out over the last 30 years by a noise machine that has made us as a people forget our proud progressive past – that great period of American history that brought us a strong middle class, the Great Society, the environmental movement and proclaimed the idea that we work together as individuals to form a community-based society that believes: We are all better off, when we are all better off. Our December Progressive Profile proudly salutes all of us who used our voices (and sometimes our feet) to reclaim the notion that we live in a country of, by and for the people – not the corporations, not the elite, not the 1 percent. The American people rose up in every corner of this country and on just about every topic that impacts our lives: voting rights, labor rights, peace and non-violence, and helped us refocus on the important question of what is it we really want from life. And ultimately, perhaps it is the environmental voices that speak the loudest: What does it profit anyone to have a ton of paper money when our very existence on this planet is threatened. In a year-end salute to the wisdom voices of the American people, we have included the following as examples. Mike Brickner, spokesperson for the ACLU of Ohio, who has spent years fighting back the insanity known as the Ohio voting system. He, and hundreds other like him, has worked tirelessly fending off the Ohio Republican Party’s attempts to suppress voters. “I’ve been a part of this in Ohio for the 2004, 2008 and 2012 elections,” Brickner said before this year’s elections. “We call elections the ‘silly season.’ But when manipulation of the system is done to get a desired result, it’s ultimately the voter that suffers. Because it’s confusing by design, we’re doing all we can to get the truth out and to empower Ohioans to get to the polls and to get someone else to the polls. Because for everyone of us who can get to the polls, we know 1, 2 or 3 people who need assistance to get there.” Despite the numerous attempts by Republican Secretary of State John Husted, Ohioans by the thousands stood in long lines to cast their votes with resounding success. The thousands of courageous people in Florida who spoke with their feet as they stood in line for hours to vote and to say: You cannot take away my right to vote. 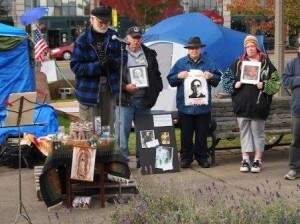 I often wonder, would I have had the patience, courage and conviction of these people? Father Bix as he continues to speak truth to power. The incredible courage exhibited by Walmart workers who, with their Black Friday strike, took the first step in beating back the retail bully on the block. Every social movement begins with a first step. “I’m just tired of it,” says Michael Wilkins, a Walmart worker. “I don’t have a regular schedule. They send me home. And I have bills to pay and a family to feed.” The labor fight has begun and life at Walmart will never be the same. And even in a sports culture dominated by money, greed, and a win-at-all-costs atmosphere, came the voice of one college player channeling the spirit of the indigenous peoples of the Hawaiian Islands. The No.1-ranked University of Notre Dame’s Manti Te’o explained why he came back for his senior year saying, when he died, he couldn’t take with him a Rolex watch, a big house or a car, but he could take with him memories of his friends and teammates. He said, “money is only paper.” Wisdom beyond his years. 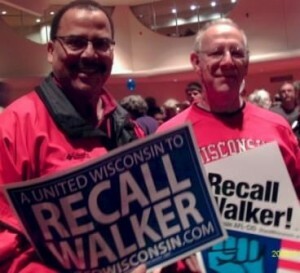 Two of the more than one million who signed petitions to recall Wisconsin Governor Scott Walker. The work continues in 2013. 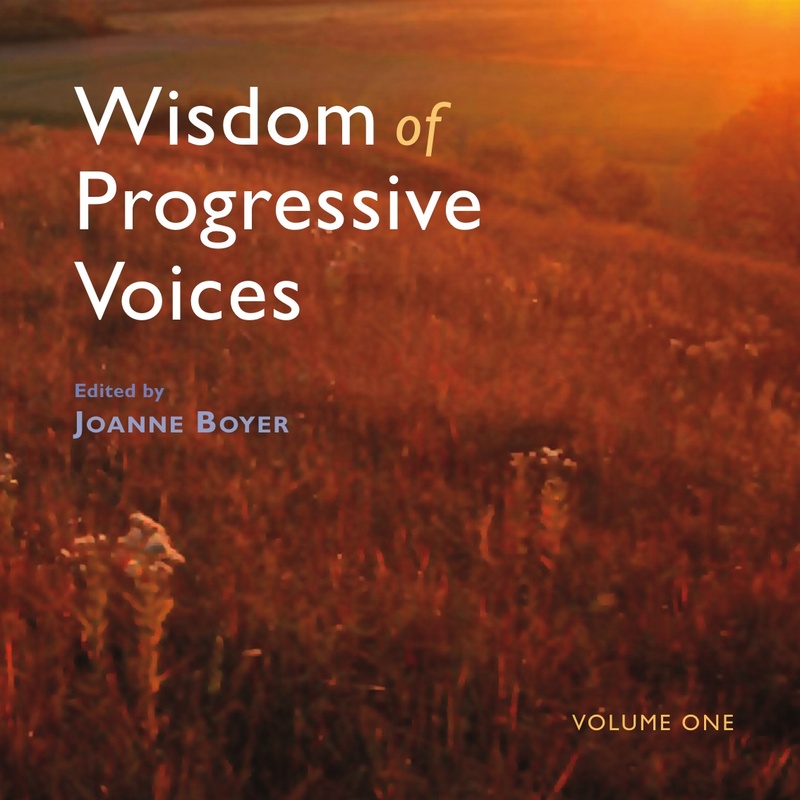 Progressive voices became stronger, louder, and more unified in 2012; yet it is painfully obvious that they need to grow even more vocal in 2013. A working democracy requires active citizen participation– in our neighborhoods, our local communities, our state, our nation, and the world. 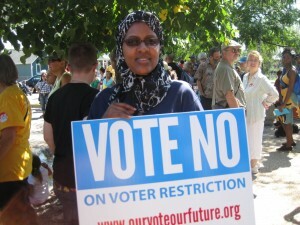 This entry was posted in Democracy, Labor, Peace, Progressive Profiles, Thoughts on Life and tagged Grassroots Democray, organized labor, protests, Voter ID laws, voter suppression. Bookmark the permalink.